The team at Elite Locksmith Services is highly committed to offering locksmith services in the St Louis, MO area. It is because of this commitment and reliability that we have been able to set ourselves apart from our competitors. It is a point of professional and personal pride that we can respond to any and all calls for emergency locksmith services year-round, any hour of the day and every day of the week. Be it any holiday say Thanksgiving or Christmas, call us and our technicians will be there to assist you instantly. We cover all key locksmith issues including automotive & residential locksmith issues and large-scale commercial locksmith issues. Elite Locksmith Services has been a prominent presence in St Louis for more than a decade now. Our customers value our customer service-oriented products and have trusted us for years. There isn’t a locksmith issue we can’t fix, and our professionals are equipped with the latest tools to make sure of this when they come out to see you. From a simple lock repair to advanced high-security locks – we’ve got you covered. At Elite Locksmith Services we have employed the best locksmiths in St Louis, MO. We and our employees share the same principles of expert workmanship and customer service. In fact, our locksmiths visit world conferences each year without fail, where they take the opportunity to absorb new knowledge that can help them in their day-to-day locksmith calls. When you avail our services even for a simple lock change, you can be confident that you’re getting the best locksmiths in town. With our emphasis on making sure no one in our community is locked out of their vehicle or home for long, we make sure to be there within minutes of you making the call – and often much sooner to address your locksmith needs. Elite Locksmith Services is a provider of emergency locksmith services for homes, vehicles, small businesses and large corporations. We have addressed the security concerns of our clients in St Louis for all kinds of locksmith needs at any time of the day. Our enthusiastic staff of technicians is happy to provide their expertise in all matters of security to aid you. We’re available around the clock – even in the A.M. hours; because emergencies don’t plan themselves ahead of time. Our mobile locksmiths, equipped with all the necessary equipment, reach you as and when you require their services. Our team of highly competent security specialists can survey your home or business at your discretion, and come up with ways to better protect you from intrusion, as well as set up protocols for restoring access in case you lose it. If you need broken locks fixed, or want suggestions regarding upgrades in locking systems, then we’re your people. Years of experience are parlayed into the best bang for your buck, and you can be rest assured your private documents and sensitive business details are closed to outside eyes. We have years of experience and provide the most affordable locksmith services in St Louis, MO. Your privacy is of utmost concern for us and you can be rest assured that any information you will share with us will always remain private. 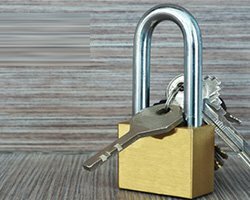 A locksmith has a comprehensive understanding of lock & key systems – ranging from simple locks to advanced locking systems. The latter is evolving every day, which is why the extensive training that our locksmiths undergo comes in handy. They begin with formal instruction and an apprenticeship that teaches them the fundamentals of how keys and locks work in tandem, and what makes them unique from model to model. At Elite Locksmith Services, the locksmiths are constantly honing their skills by experimenting with new lock systems, and furthering their education by taking classes and attending conventions. This makes our locksmiths uniquely qualified, fix whatever security problem needs fixing, and suggest better ones where applicable. 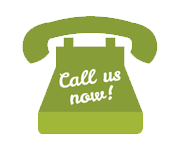 We Provide Locksmith Around Me in the following zip codes.